String all of your beads onto the ribbon yarn. 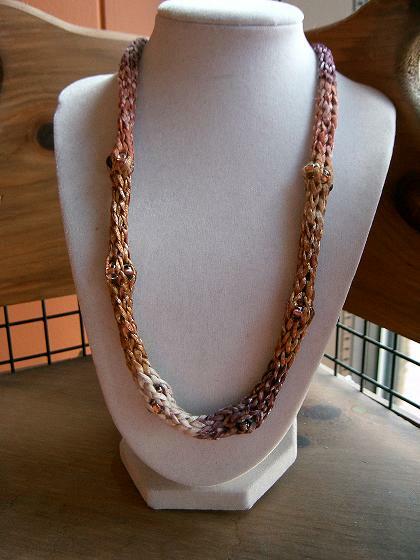 Start by following the “Method A- single loop” directions that come with the French Knitter. Work plain without beads for 6 inches. Switch to beading every row until you have used up most of your beads or 4½ inches, or however long you want. End working plain for 6 inches. Bind off. Sew clasp to both ends and weave in your extra yarn.